New Hair, Skin & Nails Rejuvenator Is Here! Tired of Thinning Hair, Dry Aging Skin, and Thin Brittle Nails? 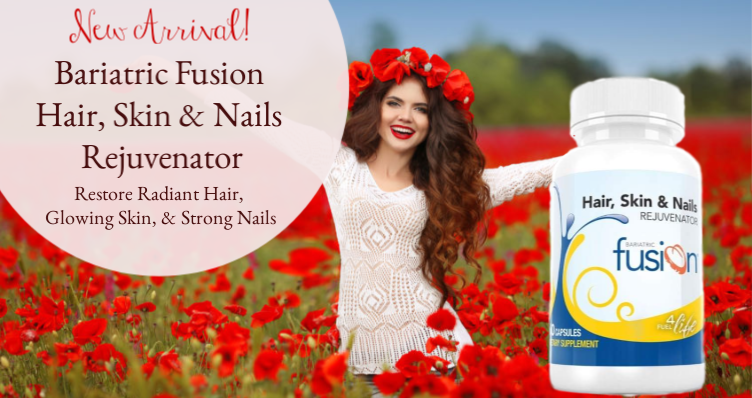 Rejuvenate glowing skin, reinforce strong nails, and restore radiant hair with Bariatric Fusion's New Hair, Skin & Nails Rejuvenator. Just one easy-to-swallow capsule per day will support your body's natural rejuvenation of your hair, skin, & nails. A special bonus coupon for our loyal customers.